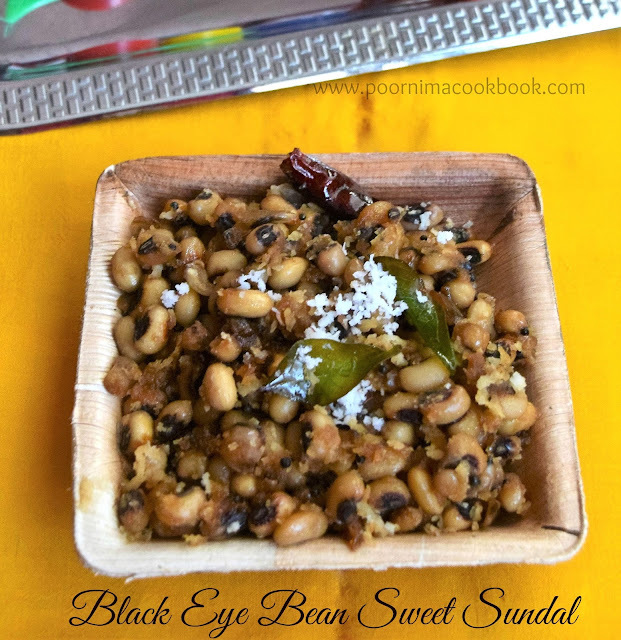 Black Eye Bean Sweet Sundal is one of the "easy to make" recipes and a favourite of mine. For those who have seen my previous post of Green Gram Sweet sundal, here is a variation of seasoning with red chillies. 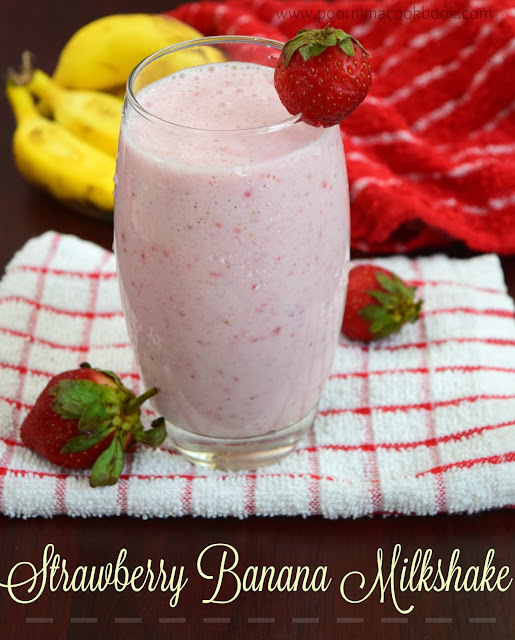 Try this; you will like the mild spice taste along with sweet. 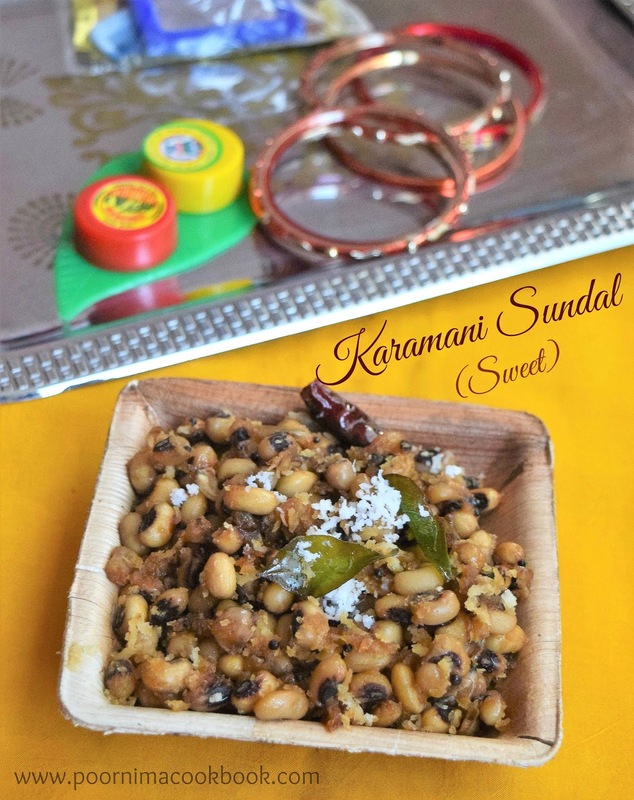 Black eye bean / Karamani (in tamil) is a nutritious legume especially high in fibre and rich in B-vitamins. Include in your diet for a healthy living. Wash and soak the black eye bean for about 5 to 6 hours. Pressure cook the bean adding water for 1 or 2 whistles or until it becomes soft. In a small pan, mix jaggery and water (just to immerse the jaggery). 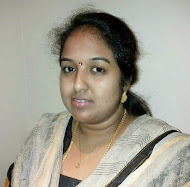 Boil till the jaggery melts and filter it to remove impurities if any. Again place the pan; add the filtered jaggery and allow to boil till it becomes a thick syrup; keep aside. 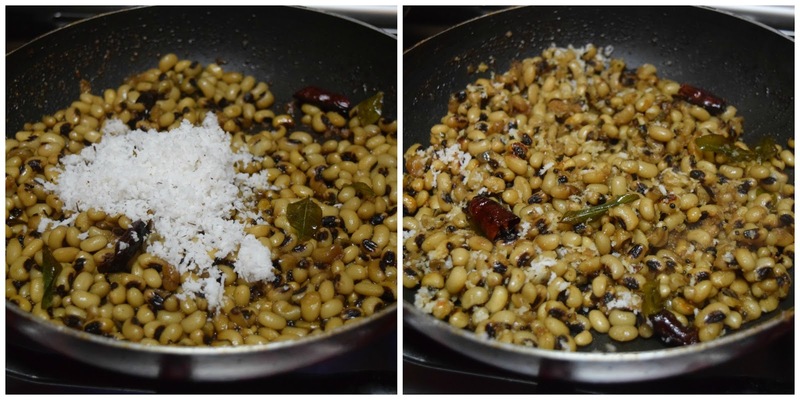 After it crackles add the cooked black eye bean and give it a mix. Add jaggery syrup, mix gently till it coats the black eye bean well and also moisture dries up. Once it is done add the grated coconut and cardamom powder (if using). 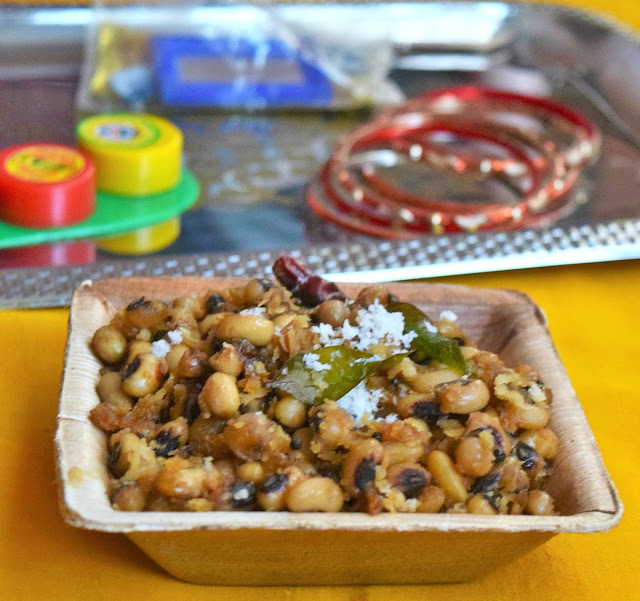 Healthy & tasty sundal is ready to serve.